I’ve already covered my best comics of 2014, so next on the agenda is my list of the best children’s books of 2014. Last year, in my round-up of the best children’s books I read in 2013, I had a hard time whittling the list down to just five, and in the end I ended up with six (giving two Joan Aiken books top spot), plus a list of honourable mentions. This year I’ve given up all pretence of being able to come up with a list of just five – this is a top ten instead. There have just been so many great books. 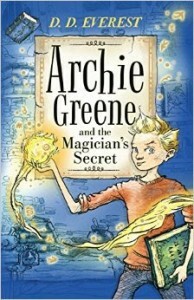 I reviewed Archie Greene and the Magician’s Secret back in October. It’s a Harry Potter clone that transcends its form and provides a cracking good story, with enough wit and originality to keep it fresh, backed up by some lovely illustrations by James de la Rue. I’ll be keeping an eye out for future volumes with some interest. It’s no secret that I consider Michelle Paver’s Wolf Brother (which made it into the top 5 last year) one of the finest children’s adventures ever written, and Gods and Warriors: The Outsiders is more of the same. The setting has changed from neolithic Northern Europe to Minoan Greece, but the vivid characterisations and subtly depicted magic are familiar. 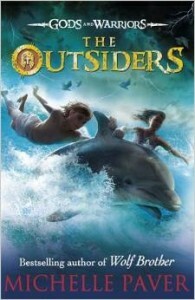 Where Wolf Brother told part of its story from the point of view of a wolf, here we have a dolphin give us a different perspective on events. If you like Wolf Brother, you won’t be disappointed with this. In a world where fairy tales are real, where do the princes, princesses, witches, and monsters learn how to play their parts? 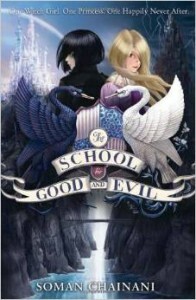 Why, at The School for Good and Evil, of course! Sophie and Agatha, childhood friends, are whisked away to join the school – but of course they end up on opposite sides, one good, the other evil. Will they be able to work together, or will their true natures be revealed? A splendid tale with an imaginative setting. Nicely illustrated by Iacopo Bruno, too. A baby is found floating in a cello case on the English Channel, and is adopted by Charles, who names her Sophie and proceeds to raise her in an unorthodox but utterly charming way. 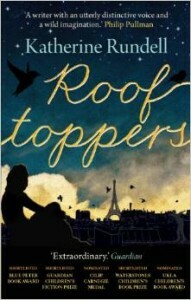 Eventually, though, Sophie decides she must track down her mother, which leads her from London to Paris, and there onto the rooftops where Matteo and his friends live – the Rooftoppers of the title. Charming, exciting, emotionally charged. Oliver and the Seawigs was the first book in an unrelated series that McIntyre and Reeve created, and it was a joy to read and a pleasure to hold. 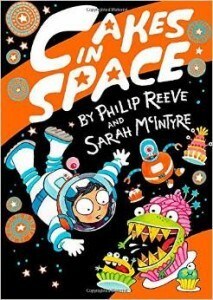 Cakes in Space has the same high production values as Seawigs, with fully-illustrated pages throughout, but it’s even more fun. Astra is off into space with her family, but in the middle of nowhere, light years from her destination, she’s awoken from her suspended animation when everyone else is asleep, and is confronted with the worst danger imaginable – cakes! Not just normal cakes, but living, breathing, hungry cakes. People are supposed to eat cakes, not the other way around! Before long the mayhem increases with the arrival of spoon-loving space pirates, er, salvagers, and their Nameless Horror. Also contains robots, just in case you were worried that the book wasn’t completely batty. 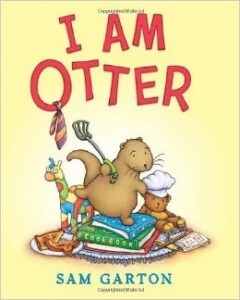 Fun, funny, exciting, with delightful illustrations and some beautiful descriptive passages. Standish is an odd boy. His dyslexia means that he’s not considered very bright, but he also sees things in a different way to most people, and his idiosyncratic prose makes him a fascinating narrator. 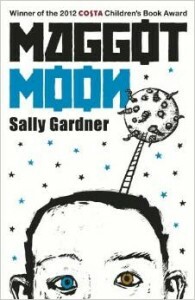 Maggot Moon, the unfolding story of his stand against a totalitarian state, is bleak and terrifying, but the power of the book comes from way it depicts the political horrors on a personal level. It’s 1984 for kids. Back in the 70s, there was a BBC television series called Teddy Edward, in which the veteran newsreader Richard Baker narrated the adventures of the soft toys Teddy Edward, Jasmine the rabbit, Snowytoes the panda, and all their friends. The narration was accompanied by still photographs of Teddy and company. Virtually nothing of these broadcasts survived the BBC’s over-zealous wiping of tapes, but you can still get the books, which, while they lack the mellifluous tones of Mr Baker, still contain the wonderful photographs and stories. 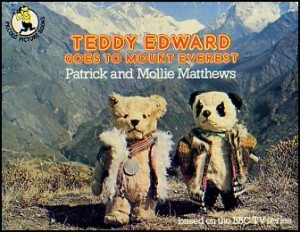 In Teddy Edward Goes to Mount Everest, Teddy goes on an expedition to the Himalayas, and encounters Snowytoes’ brother Domtuk. An absolute delight from start to finish. 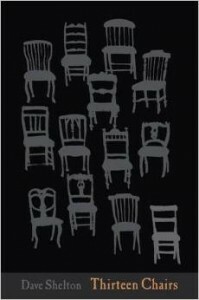 I wrote a review of Thirteen Chairs just after Halloween. Suffice to say that it’s an excellent collection of creepy stories held within a framing narrative, ideal for cold and spooky winter nights. Kate diCamillo was appointed as the National Ambassador for Young People’s Literature this year, which is basically the US equivalent of the UK’s Children’s Laureate, currently held by the wonderful Malorie Blackman. If Kate diCamillo had never written anything other than The Miraculous Journey of Edward Tulane, that would have been credentials enough. 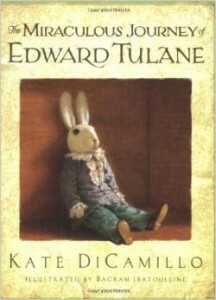 Edward Tulane is a vain and selfish china rabbit who doesn’t appreciate the love that his owner bestows upon him. When misfortune befalls him, and he falls overboard on an ocean trip, he embarks on a journey that will introduce him to a whole array of new owners, each with their own needs and desires. Through disaster after disaster, through misery after misery, his selfish nature is burned away. I’ve seen reviews where parents have said that they had to stop reading the book to their children, because it was upsetting them. Maybe so. But if art doesn’t make you feel, what’s the point? This is a book of beauty, wonder, melancholy, and, most of all, love.